The Book Corner is a nonprofit bookstore dedicated to supporting services and materials the Beaverton City Library provides to our community. Beaverton Farmers Market is the largest agricultural-only farmers market in the Northwest and features the region's finest agricultural products delivered morning-fresh and sold by the growers themselves. Located in beautiful downtown Beaverton, Beaverton Sub Station is where the food is fresh and all orders, large or small, are served with a smile! The Washington County Visitors Association serves the region’s tourism industry by actively promoting Washington County, Oregon, as a destination for conventions, business, and leisure travelers. KUIK 1360AM provides daily news and information plus unique programming and services for the Portland area. Whether your desired style is old world, Tuscan, Zen, farmhouse, Americana or modern the Artisan Renovation relationship-driven approach, exacting standards and sixteen years in business makes them the perfect partner to create the home of your dreams! 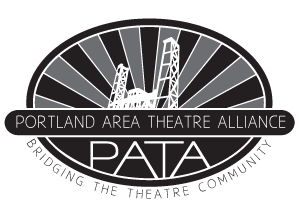 PATA is an alliance of individual theatre practitioners, producing companies and associated businesses. The Cultural Coalition is one of Oregon's 45 county and tribal cultural coalitions. Work for Art is a program of the Regional Arts & Culture Council (RACC), a 501(c)(3) arts service organization. The Cultural Trust is a statewide cultural plan to raise significant new funds to invest in Oregon's arts, humanities and heritage.